Restaurant Software from GoFrugal is a cutting-edge solution specially designed for restaurant businesses. Restaurant software has been specially designed for overall restaurant E2E operations including point of sale, billing, accounting, inventory, food cost reports, mobile order taking, security, recipe management, and much more. The cloud-based software allows the restaurants to manage all operations universally without any extra effort and cost. Restaurants can track the orders placed, KOTs, order status and generate billing for the orders readily from a single platform. With reduced order processing and increased table turnaround time, the solution also helps in acquiring more loyal customers. GoFrugal solutions have been providing technology adoption into Retail and Supply chain businesses since 2004, in the form of complete business automation solutions. Headquartered in Chennai, India, the technological footprint has grown to benefit 25,000+ retail businesses. Get accurate reports on what ingredients are well consumed and what is wasted. Optimize next purchase to profit more. Accurate food costing with Food Costing Reports(FCR) along with variance. Quick and efficient restaurant billing with the touch of your fingers. Get visual representation of table status; available or occupied, stewards occupied, due-bills etc. Scale up your restaurant business with web & tablet based cloud POS. Enjoy faster billing, detailed reports, easy order management and manage your multi-location food joints with ease. 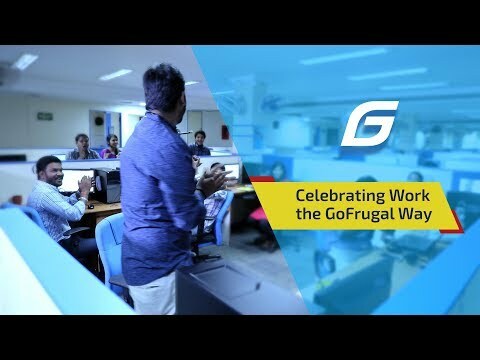 Get customer feedback to deliver a delight experience with GoFrugal My Pulse Integration. Increase order capability and reach more customers, through our centralized Call center module. Foolproof order taking process from human errors by capturing order specific details such as delivery date/time, special requirements and advance receipt details etc. Manage and track door delivery process by properly assigning drivers or delivery boys. Have offers customized for different categories of customers like - corporates, regulars, students and more. Payment: Card,Wallt and UPI payment Integrations. Loyalty Program: Capilary, Telibrahma, Inspire and more. Get visual representation of table status; available or occupied, stewards occupied, due-bills & KOT age in a glance. Watch table wise order summary. KOT to settlement in one touch. Create combo packs and serve them based on customer preferences . Release coupon codes, vouchers as inserts in newspaper and mass distribute them to pull more foodies to the outlet.